If I am working for a company that refers to me as a contractor and uses an agency to pay me, can I sue the company instead of the agency if I am wrongfully dismissed? How will I know if I am actually a contractor or employee? There are two issues here. The first whether you are genuinely a contractor or an employee, and secondly whether or not the employer is the company providing the work or the agency which pays you. For more information regarding your status as a contractor or employee, please refer to our Question and Answer service dedicated to that topic. The common answer is that you can only sue your actual employer for wrongful dismissal. However, there are circumstances in which it may be possible to show that you are actually employed by the company, not the agency. 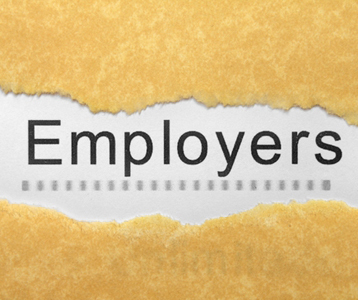 It may also be possible to show that you are an employee, not an independent contractor. This is particularly so where a person has been incorrectly labelled a ‘contractor’ but is in essence an employee. The courts have developed a range of criteria that may be examined in order to distinguish between an employee and a (independent) contractor. It is often the case that genuine employees are labelled as contractors to deprive the employee of certain rights but when taken to task the company will need to concede that the true relationship is one of employer and employee. The distinction between an employee and a contractor is an important one for all workers. A wide range of entitlements and protections are conferred upon workers by legislation and industrial awards or agreements. Often these instruments will make reference to the common law definition of an ‘employee’ making it of vital importance that all workers understand whether or not they fall within this definition. You should look hard at the role of the agency and whether or not you found your work through the agency or directly with the company providing the work. For example, if a company advertises a position and you are accepted into that position, it is fair to say that you will be working directly for the company and will have rights as an employee with the company, even if the company later tells you to that you will be paid by an agency and your employment will be subject to that agency. However, if you go to an agency which then places you with an organisation that provides you with work by and large any claim that you have will be against the agency. There are exceptions to this. For example, if you are working through an agency and the company that you are working for has a manager that tells you that you will be put off because you were too old (unlawful discrimination) you can commence a claim against that manager under the equal opportunity laws even though the manager is working for the company which does not employ you.